"On the whole, I'd rather be in Philadelphia." If W. C. Fields could see his city now, he would wholeheartedly agree. Yes, I love wild places and dramatic coastlines, but I also love cities. So far, I've never met one I didn't like. My wife and I both grew up in Long Island outside New York City. 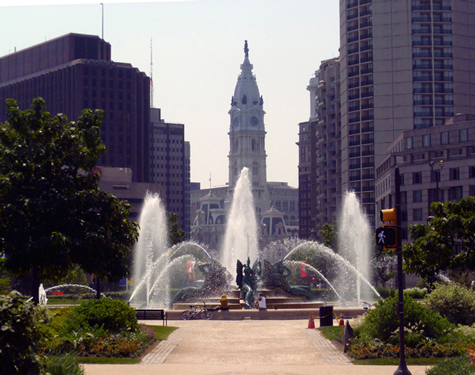 We moved to Philadelphia in 1971 when I had an opportunity to start my photographic career there. Philly's reputation at that time was, to be kind, not great, but it was easy to see that some very good things were going on, and we found ourselves liking our new home straight away. 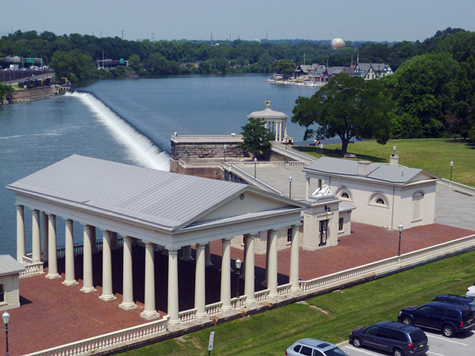 During our first week in Philly, a good friend drove us along East River Drive (later renamed Kelly Drive) beside the Schuylkill River toward Center City. 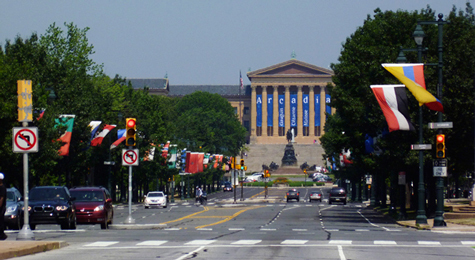 We then continued around Eakins Oval in front of the Philadelphia Museum of Art and proceeded down Benjamin Franklin Parkway toward City Hall. I thought then, and still think now, that this is one of the most beautiful urban drives anywhere in the world. As fortune would have it, we started our future in Philadelphia just as developers were realizing its potential, the restaurant scene was awakening, and some thoughtful urban planning was starting to pay off. By 1980, even the sports teams were winning. And once the artificial height limit of Billy Penn's hat at the top of City Hall (548 feet) was broken big-time in 1986 by One Liberty Place (945 feet), a skyscraper building boom began. The skyline changed dramatically and appropriately reflected the changing city on all fronts. Progress was being made. Soon Philadelphia was gaining respect from the national media. Favorable and oftentimes glowing articles were appearing regularly in newspapers and magazines. The "city of neighborhoods," as Philadelphia is known, certainly has some major faults, as does any urban area―crime, uneven public education, and budget woes among them. Nevertheless, everything one would want out of a world-class city is here―art, culture, entertainment, history, music, restaurants galore, major sports teams, theater, top universities and colleges, sports, urban parks, a great zoo, effective transportation, reasonably priced housing, fabulous medical care, and continued planning for the future. The good reviews continue. 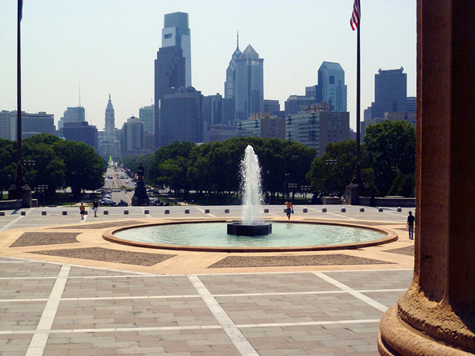 Sometimes known as America's most livable city, we plan on staying in Philly―with frequent trips to the West Coast, of course. Copyright © 2013 David Freese. All rights reserved.